Make the joyous celebration that is your wedding into a time of giving and sharing with others. So much effort, time, and resources go into planning a beautiful wedding, that many couples feel that now is the perfect time to share their happiness with not only their family and friends but those that have difficulty with even some of the most basic needs. Below are just some of the charity organizations that can benefit from your goodwill. Make your Simchah a true Eis Ratzon, by sharing with the needy! You have been blessed with a joyous occasion, why not let others join in. 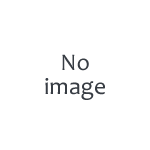 Participate in the Masbia revolutionary Share-Your-Happiness program. Share the joy of your simcha with others less fortunate. 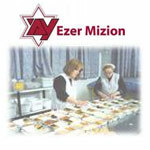 Help provide nourishing meals to families in Israel whose loved one is ill. Support Ezer Mizion�s Food Distribution Division. Keren Simchas Chosson V Kallah is a Chachnasas Kallah organization that helps families both financially and morally during the process of marriage. 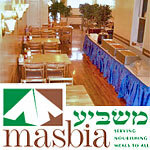 The many that reach out to us, especially orphans and Balei Teshuva, also receive help with wedding planning. Our relationships with local businesses often help to greatly lower the price of a wedding. Everyone deserves to go to the chuppah with dignity as they start a faithful house in Israel. 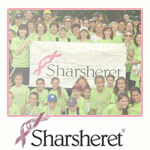 Sharsheret provides culturally sensitive support to young Jewish women who are newly diagnosed with breast cancer as well as to those facing the risk of developing breast cancer, and offers related resources for Jewish communities and health care organizations. 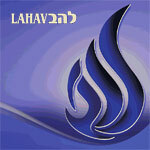 Lahav provides free personalized one on one counseling sessions for couples to be (in Israel) that introduce the new Kallahs and Chattans, mostly from secular, non-traditional backgrounds, to the laws and traditions of Taharat Hamishpacha and basic foundations of Jewish marriage ideology. Join Lahav's 'adopt-a-couple' campaign by dedicating the teaching of a couple whose wedding day coincides with you own simcha. Yad Batya L'Kallah offers a very special simcha to less fortunate brides by providing each one with a package containing essential household items - dishes, pots, cutlery, basic small appliances, quilts, pillows, linens, and towels - all of the finest quality. YBLK annually distributes nearly 600 packages throughout the United States and approximately 300 customized packages in Eretz Yisroel. Every day, couples throughout Israel announce their engagement with pride and joy. But for Israel's poorest families, the news is often tinged with worry and shame ― worry over how to pay for the wedding, and shame that their children will be unable to celebrate their special day in a dignified way. Yad Eliezer caters and provides for these couples simple but elegant weddings with sponsorship from couples like you.